Eliminate multiple microphone/mixer setups and cumbersome head sets and handheld mics, this Voice Tracker is the lecture recorder of choice. The Voice Tracker 1 Array Microphone has an extremely long range, picking up people speaking at ranges of 9+ metres in lectures and large classroom settings, eliminating the need for multiple microphone/mixer setups, which can be expensive and require expert installation and management. The Voice Tracker 1 Array Microphone electronically locates and automatically steers towards the person speaking, which means an entire room can be covered and speech located and picked up without delay or loss of audio quality. A reliable, rugged and high quality sound solution for all your conference, classroom and meeting needs, the Voice Tracker 1 Array Microphone provides high quality automatic speech recognition for 10+ metres and full vocabulary automatic speech recognition at ranges of a few metres. This Voice Tracker also comes with the added benefit of a built in ceiling mount, so you don’t have the clutter of mics at the conference table. Voice Tracker 1 – an inexpensive solution with quality results for lecture recording. High quality sound recording technologies – effectively covering an entire room, the Voice Tracker™ 1 Array Microphone produces high quality sound recording with the unique electronic automatic steering technology, and comes with selectable steering limits (90˚ and 180˚) for Speech Recognition and Meeting Recording modes and selectable LDS (Location Dependent Squelch) to reduce annoying interference of additional people speaking during Speech Recognition or feedback during teleconferencing + two-stage noise reduction capabilities. Safe and reliable power source and back up – powered by a wall power converter so there is no risk of loss of performance when batteries run out, and comes with a USB adapter as an available option for use with MAC’s and laptops with low performance sound cards. Superior functionality – microphone tilt capacity to facilitate desktop, monitor top, ceiling, or wall mounting and a 5 element “in range” light to indicate location of chosen person speaking and the sufficiency of the signal being received. Compatibility– compatible with a variety of operating systems including MS Windows 3.x, Windows 95, Windows 98, Windows NT, Windows 2000, Windows ME, Wiindows XP, Windows Vista, Windows 7 and Mac OS and Mac OS X. Power source – because the Voice Tracker 1 Array Microphone is powered by a wall power converter and is manufactured in the USA, Pacific Transcriptions ensures that this microphone comes with the correct power converter and adapter for the Australian context, at no extra charge to you. 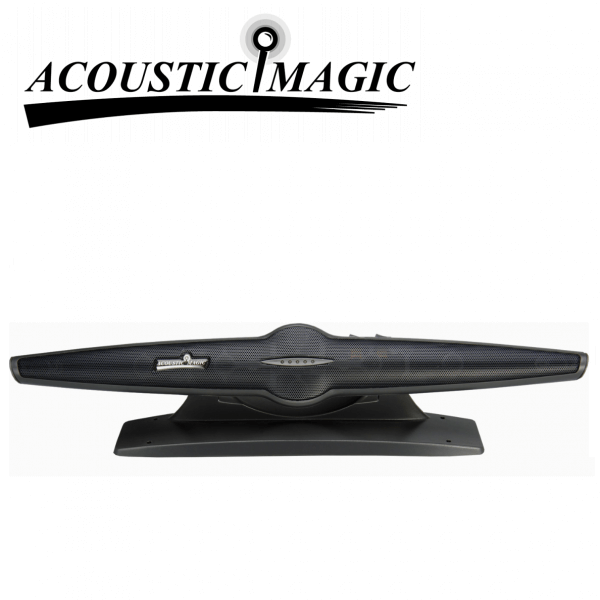 For a demonstration video, go to https://www.acousticmagic.com/industry-uses-education.html and click on the Echo 360 – Boston University Business School Lecture link. Need a long range lecture mic? Get your VTI at an affordable price from Pacific Transcription.